Hey everyone, I am here with my inspiration for our Animal challenge at Crafty Ribbons :) I used the Animal Kingdom Cats Silhouette Ribbon to make a personalised lanyard. I used clamps which I glued inside and then shut the clamps with jewellery tools. I then used a 3mm split ring on each end of the ribbon, then added the lanyard finding and attached each ends. Hey everyone, hope you are well :) I am here with a storage solution for my rings-I always find myself absent mindedly placing them somewhere 'safe' but then can't find them! I bought this plain wooden box a little while ago and hadn't got on with decorating it so I decided now was the time! I used my new favourite paint-chalky paint :) I loved the little lower panel on the lid so decided I had to create something special for it. I bought some plain unbleached cotton, measured some cardstock to fit into the void and covered the cardstock with the material. I then heat embossed the love sentiment onto the fabric as an experiment. I was pretty pleased with how it came out! Next I dealt with the inside. I bought some hair curling foam things in the pound shop. I cut the plastic ends off and removed the wires from inside. I then cut them to fit in the void inside the box. Lastly I pushed them inside and voila! Hey everyone, hope you are well! I am with some more shoe clips that I have made to accessorise my new vintage dresses from Lindy Bop :) I used Crafty Ribbons Basics to Go Grosgrain ribbons, Crafty Ribbons Polka Dot Ribbon, beads and shoe clip blanks. I started by gluing four black grosgrain ribbons with a fold in the middle of the back, then two of the white polka dot. I used a peg to make sure they dried securely. I then glued two of the black ribbons into a bow shape (not tying a knot keeps the bow from being too bulky!) and then added the white polka dot in the centre with the black ribbons peeking out from behind it. I repeated this with the other side. I then sewed a line of seed beads in the centre using a beading needle. Lastly I glued onto the shoe clips using a glue gun. I want to share a project that is very close to my heart. Recently my Nan turned 80 and I wanted to make her something really special-we are very close and there is just not enough I can do to show her how much I love and appreciate her. I told her I wanted to take a look at her family photos in order to rescue and restore them for the future-making digital copies would also allow me to share them with everyone in the family so we make sure that they are safe in many hands! She gave me a huge bag of photos-over 100 years or more-because she had some of her parents family photos too. Obviously being that old they required some restoration so as I scanned them into my computer I used Photoshop to restore them digitally and it was wonderful to watch some photos which were almost completely ruined turn into *almost* perfect again. Hey everyone, I am here with a backlit canvas I made as a present :) I really love creating these backlit canvases because they feel so special and so versatile-changing the image you use on the front changes the feeling of each piece. I begin by getting hold of some LED fairy lights (they don't burn hot so are safe to use in a project such as this!) and sewing them into the back of a canvas. I glue some areas of stitching too to make sure it stays secure. Next I create my front panel. I used linen look cardstock because it is quite thick and it looks similar to the plain canvas below. I die cut some of the butterflies from the canvas panel. I also die cut extra little ones and used a punch for a couple too. (The X-Cut butterfly dies/stamps are my favourites because I adore butterflies and can create so many different looks!) I then stamped these with coloured ink and heat embossed with clear embossing enamel. Hey everyone, I hope you are well! 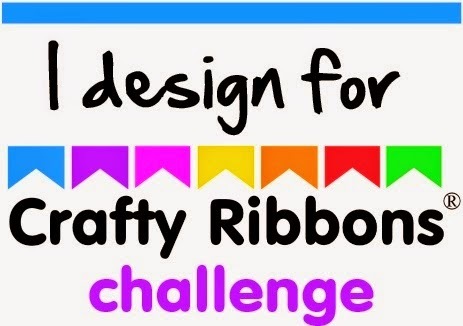 I am here with a project to show you using Crafty Ribbons Vintage Butterfly Ribbon for our 'Anything Goes' challenge. This range is without doubt one of my favourite ranges they have created- so versatile and pretty! I started by cutting the ribbon long enough to save a book's pages effectively. I used a book I own to do so. I then placed clamps at either end of the ribbon once I had glued the ends and that makes a stronger bond which prevents fraying. I then made my embellishments for the bookmark-following the butterfly theme! I used Printable shrink plastic and printed off some gorgeous free vintage butterfly digis from The Graphics Fairy which is one of my favourite sites on the internet! I cut round the butterflies once I was sure the ink was dry and I left a place to punch a hole into so I would be able to attach them to my bookmark. Hey everyone, I hope you are well! I am big into Vintage clothing and accessories at the moment and just bought a gorgeous dress from a Vintage dress store which was Navy with Red Piping. I found some gorgeous Navy shoes but I wanted to add some red to really make them 'pop' and match my outfit. I cut four equal lengths of Navy Ribbon, and two of the polka dot Bias Binding. I then glued each of these folded in on each other one by one to make a look of a bow. I then left them to dry with a clothes peg keeping the glue secure while it dried. I then started to craft my bows once dry. Hey everyone, I hope you are well :) I am here with a project I really have fallen in love with :) I won some printable cotton from crafty computer paper a little while ago and I wanted to think of different ways to use it. I started with a box frame, some unbleached cotton, printable cotton, cardstock, glue and vintage images of butterflies. I printed the butterflies onto a sheet of printable cotton, and then a second the same size onto cardstock. I cut around the fabric butterflies and then mounted them onto cardstock to make the dimensional look I wanted possible. I then folded these cotton butterflies wings and glued them onto the printed butterfly below. As I waited for them to dry I used the paper insert that came with the frame to cut out a cardboard mount. I then covered this with the unbleached cotton. Hey everyone, I am here with a project to show off the Nautical Ribbons collection at Crafty Ribbons for our 'Masculine/Transport challenge. Nautical is very much back in so it made a nice easy way to get involved and make a nice home decor gift on trend! I had a plain canvas. I cut very carefully at each end of the canvas and threaded each ribbon through the front of the canvas and affixed these securely from the back of the canvas.